The story centers on demon Ogre Hozuki (鬼灯 Hōzuki) who works under King Enma (閻魔大王 Enma-Daiō), the King and Head Judge of Hell who determines what kind of hell the deads will be sent to. The serious-minded Hozuki attempts to manage and troubleshoot unusual problems which occur in the Japanese hell. Two of the most prominent subordinates of Hozuki are Karauri (唐瓜) and Nasubi (茄子). Other people in the hell include Oko (お香 Okō), the chief assistant of Mortal Hell; Peach Maki (ピーチ・マキ Pīchi Maki), a famous idol in Hell; and Yoshitsune Minamoto (源義経 Minamoto no Yoshitsune), a commander in the Crow-Tengu Police. 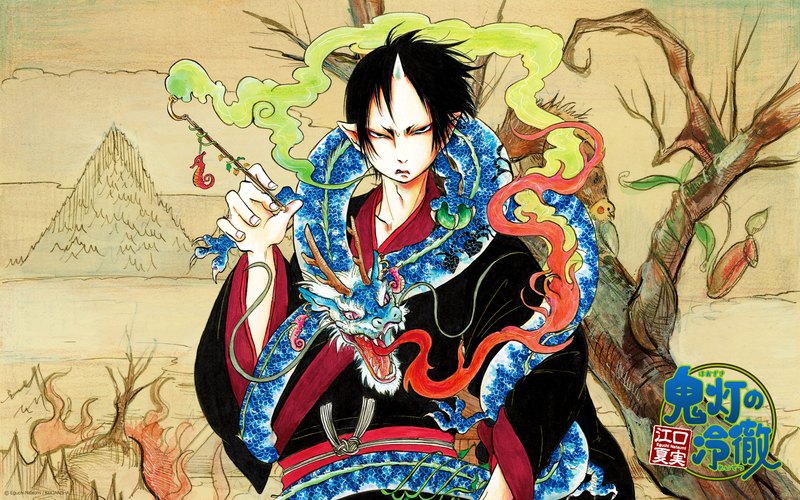 The main rival of Hozuki is Hakutaku (白澤), a Chinese medicine expert who works at Shangri-La. Hakutaku is assisted by Momotarō (桃太郎), a famous samurai in his days of living. Momotaro's tree pets are also regular characters in the series: Shiro (シロ), the dog; Kakisuke (柿助), the monkey; and Rurio (ルリオ), the pheasant.